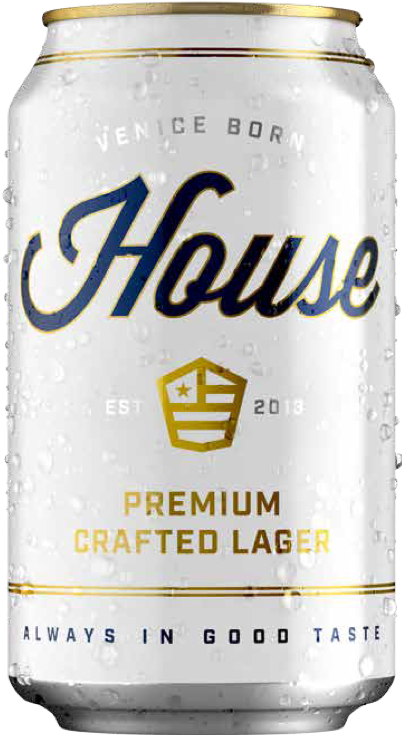 HOUSE BREWING IS A CRAFT BREWERY THAT’S DELIVERING MILLENNIAL BEER DRINKERS WHAT THEY HAVE BEEN CRAVING FOR SOME TIME: A PREMIUM QUALITY LAGER THAT DOESN’T SACRIFICE DRINKABILITY. We only offer one beer, but we do it right. 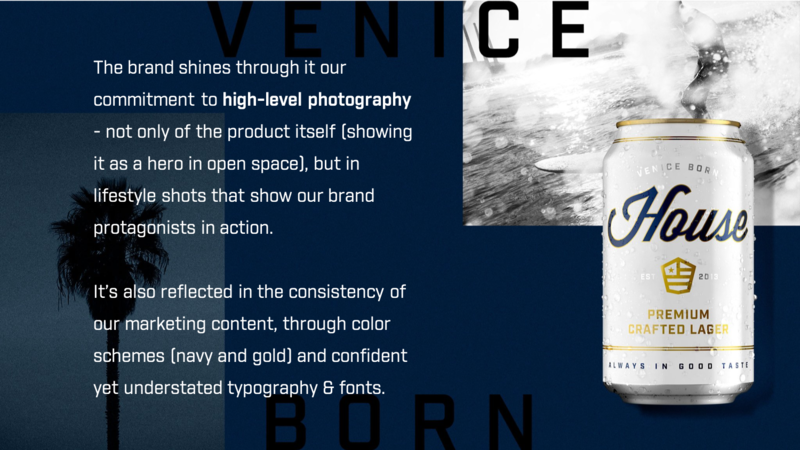 Our premium crafted lager redefines what’s possible in the industry with a refreshing yet delicious flavor profile, and supplements it with an appealing brand image that the millennial generation can relate to. WHY BE FORCED TO CHOOSE BETWEEN GREAT TASTE AND GREAT DRINKABILITY? 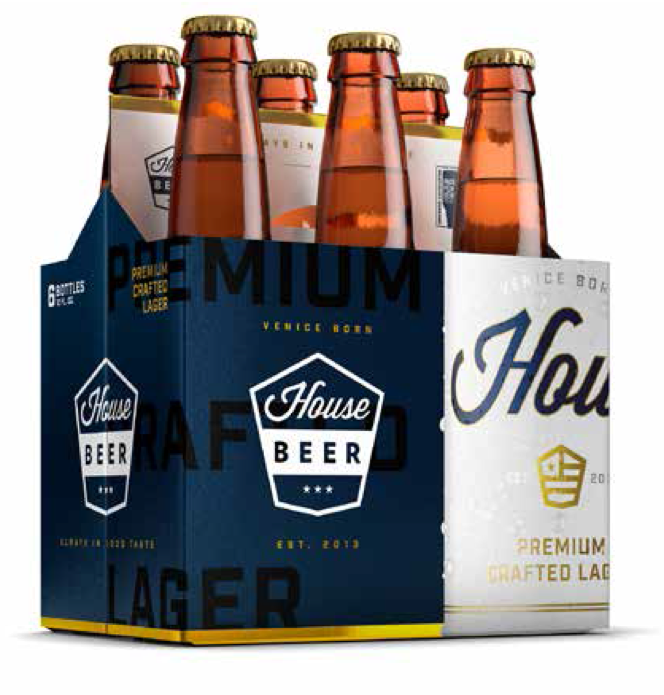 INTRODUCING HOUSE BEER: CRAFTED TO SIMPLY BE THE PERFECT BEER, AND NOTHING LESS. We have a vision to build lifelong relationships with Millennials by crafting the preferred been for their generation. 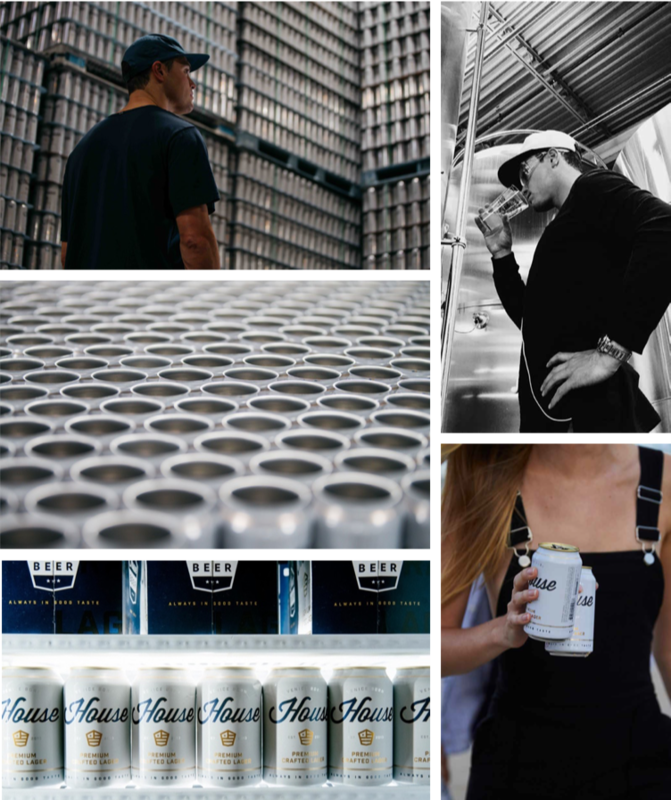 Our sole product, a premium crafted lager, does so by pushing past tradition and expand the boundary of what’s possible in the industry. It’s brewed with quality malts and noble hops - born amongst creators & modern makers as a tribute to the bold and authentic. Focusing exclusively on one beer allows us to ensure craft-level quality, freshness when it reaches the consumer and extreme focus. Brewed with sessionability in mind, it therefore successfully bridges the gap between craft and major domestic beers. Our mission is to deliver a consistently high quality product of choice, at a fair price, while operating a sustainable & profitable business model. 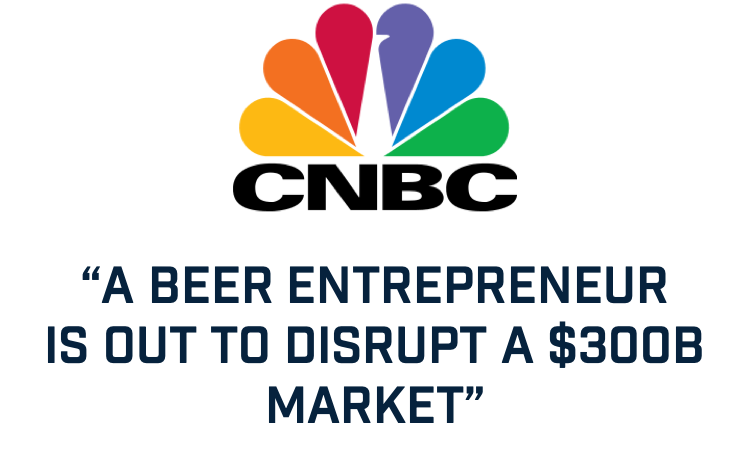 With craft beer flooding the market, effective branding and distinction is massively important to standing out and realizing this mission. FATHER MIGHT KNOW BEST, BUT NOT WHEN IT COMES TO BEER. 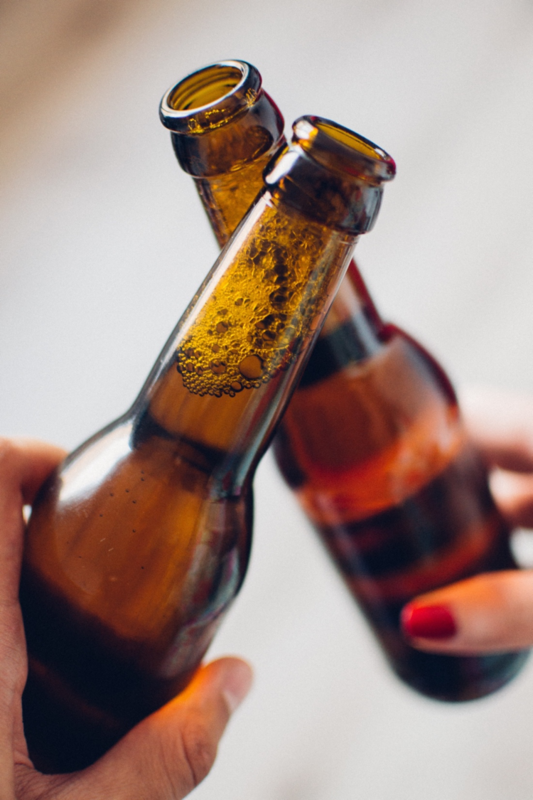 Many of us grew up drinking our dad’s brews - you know, the Buds, Millers, and Coors of the world - and came to accept this mainstream as “as good as it gets”. But then the craft brewery craze came around, and we were exposed to a beautiful new world. 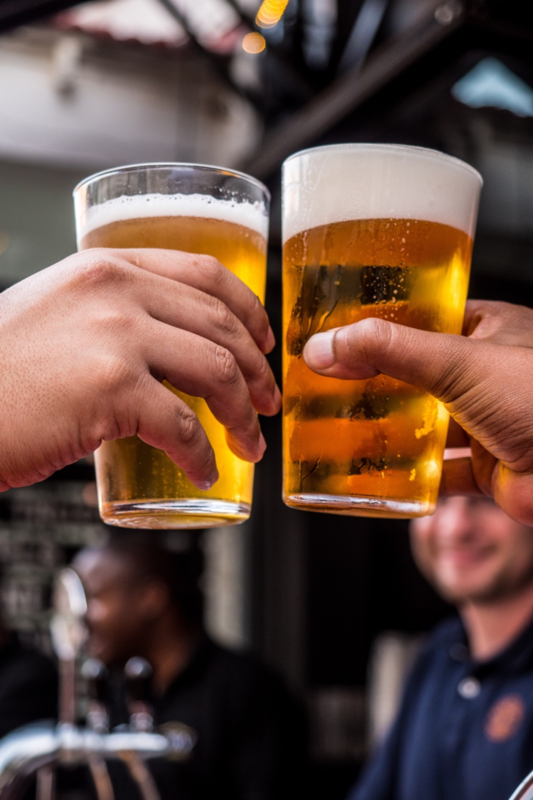 Craft beers provide the increased variety, better quality, and better flavor that mainstream options lack. They also tend to carry more modern, independent brand images that are very appealing to younger consumers. The craft market continues to grow as a result. However, crafts don’t always go down smooth like domestics do and can be intimidating for novice beer drinkers. Especially when you’re desiring a lighter, more refreshing option. Sessionable beers like these are proving to be the emerging consumer preference - but combining this drinkability with craft-level quality has largely been an unfounded journey thus far. 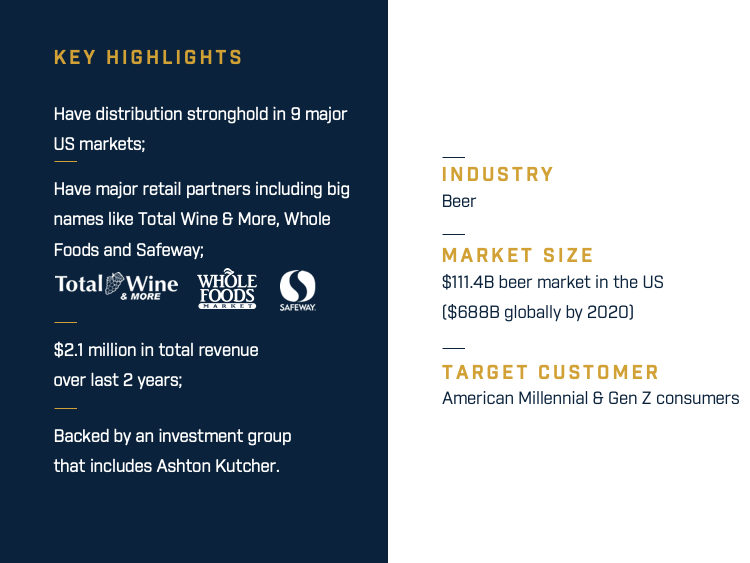 Millennials are clamoring for a new beer brand of this type to get behind. 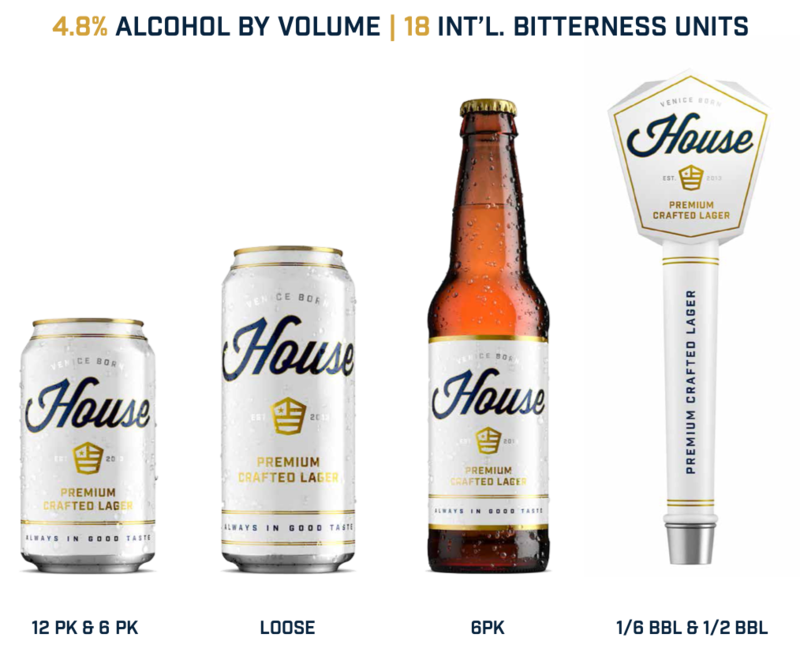 ​House Beer is served in traditional 12-ounce cans and bottles, as well as 16-ounce cans. The smaller cans are available in 6-packs and 12-packs, with bottles also available in 6-packs. 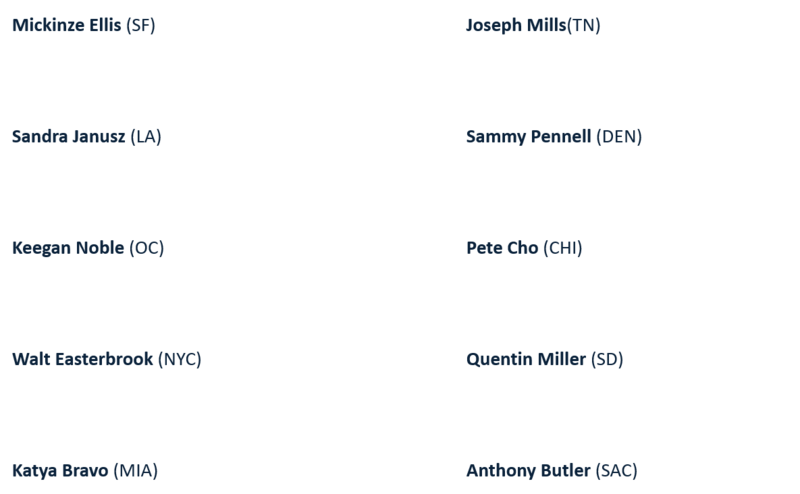 It can also be found on draft in both 1/2BBL and 1/6BBL in all our markets. As for distribution, the business model we utilize helps ensure highest quality freshness standards. It allows us to get products to distributors 12 days after packaging – which means our beer gets to our consumers within 45 days after we package! 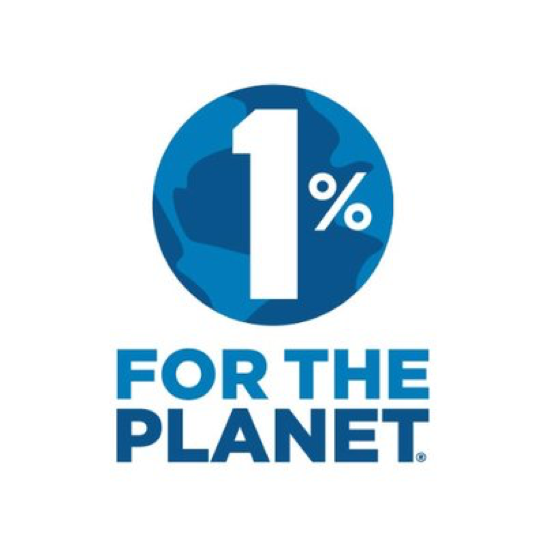 1% of annual sales is contributed to nonprofits dedicated to preserving and restoring our natural resources. All proceeds go to water based non-profits. Positively featured by a variety of media outlets, including a 2016 CNBC article. 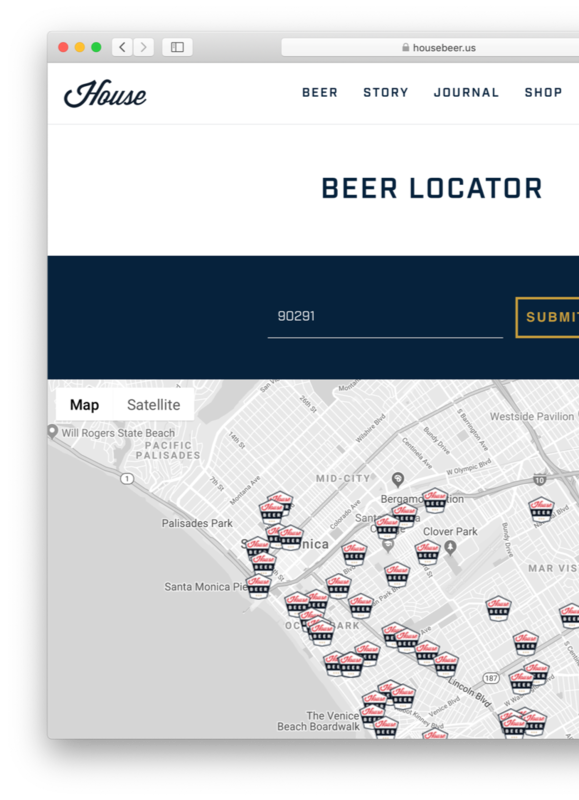 For more on House Brewing and how they plan to build continued shareholder value, please request access to the Business Plan portion of this Fundable profile! Our founding team had a vision to create the beer they always wanted. 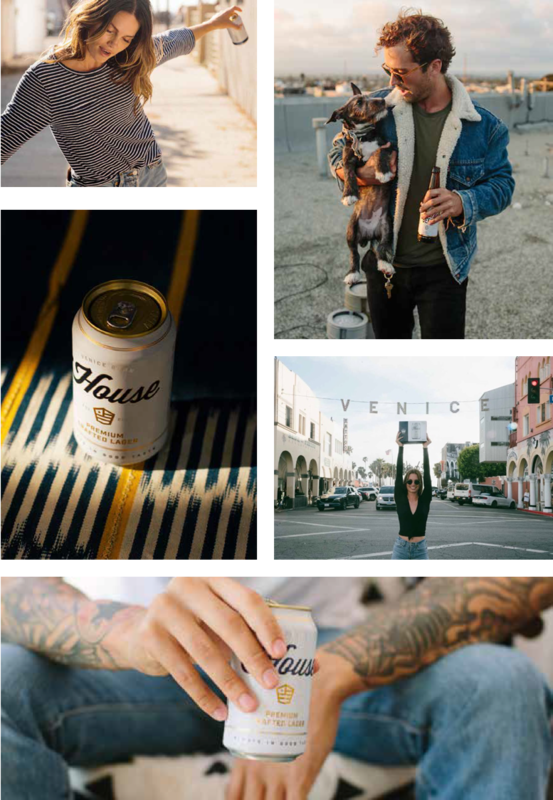 Starting out by selling House Beer out of a van in Venice, beginnings were about as humble as beginnings can be. Fast forward to 2019 and we’ve put together a talented group of individuals with a single shared vision, led by Founder & President/CEO Brendan Sindell. 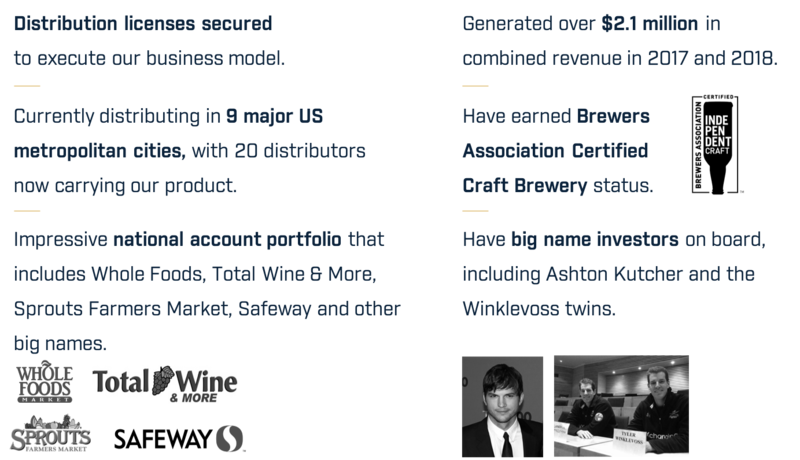 Our Board of Directors includes our Founder, Agenda Founder Aaron Levant, and Wilco Holding Managing Partner Derek Wilson. We also receive valuable outside assistance from an Advisory Board that includes former Heineken Brazil CEO Chris Barrow.